Make your reservation today, and try our featured New Year's Eve Prix-Fixe menu being offered from 4-9pm. Enjoy a $40 prix-fixe menu full of New Year's Eve specialties, or order off the daily menu and indulge in 1919 favorites! 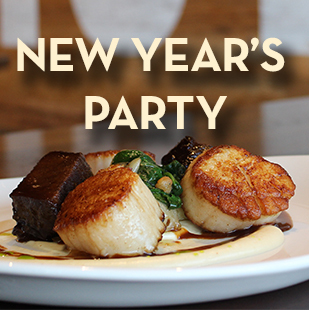 Ring in the New Year with a champagne toast, late night appetizers, and more!